As December rolls in we are looking forward to a joyful holiday season in Old Town. Readers greedy for a local in-person browse have a special reason to celebrate with a much-needed new pop-up bookshop: Old Town Books. The store opened on Small Business Saturday, November 24, at 104 S. Union Street, across the alley from the old Olsson’s Books & Records location currently occupied by Virtue Feed & Grain. Below are a fiction and a nonfiction selection to get you started on your literary holiday shopping there. 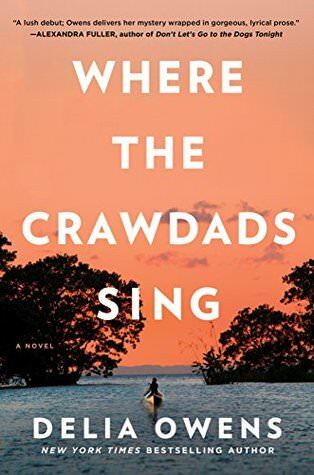 Where the Crawdads Sing by Delia Owens is the absorbing tale of Kya Clark, a reclusive young woman who grows up isolated in the marshes outside the small coastal community of Barkley Cove, North Carolina. Her mother, siblings, and alcoholic father leave their family shack out in the wetlands one by one. The lonely Kya must find a way to survive and eke out a living as she matures. Scorned by the nearby town as ignorant trash and called the Marsh Girl, self-sufficient Kya makes a living off the wetlands, learning about the water and wildlife that surround her. She begins to see through a more academic lens by teaching herself to read and study with the help of Tate Walker, a shrimper’s son. Tate appreciates her talent as an artist who paints flora and fauna, bringing her books to enrich her understanding of nature. In 1969, when accused of murdering the handsome lothario Chase Andrews from Barkley Cove, she and the town must finally come to terms with one another. I found Where the Crawdads Sing both airy and profound, light as a sea breeze rustling through piney woods. The novel is a whodunit set in the South, a natural history, and a poignant love story between Kya and her wetland world that enfolds both Tate and Chase in its mysteries. If you seek lovely, evocative writing about nature, look no further. 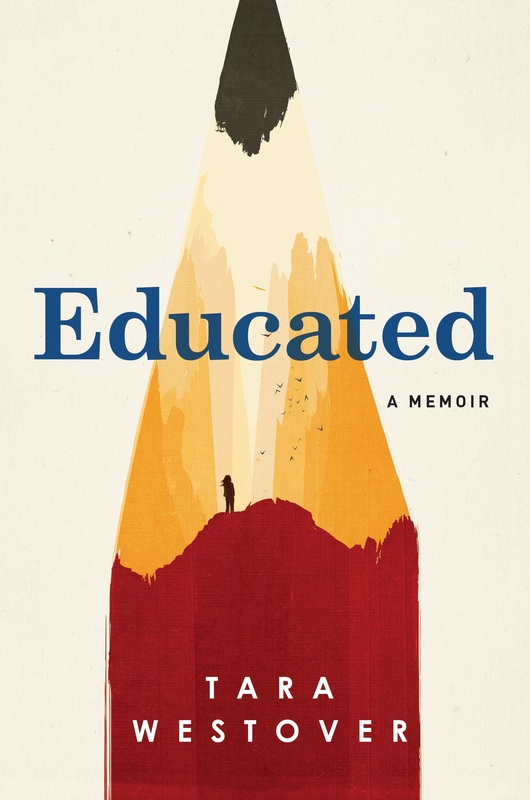 Late this past winter Tara Westover released Educated, a memoir detailing how she found a way to get an education after a life without formal schooling in a fundamentalist, survivalist Mormon family in Idaho. She and her brothers and sisters grew up helping her father to scrap old cars from a large junkyard and her midwife mother to create homeopathic and herbal remedies. Her paranoid and mentally ill father wanted his family completely independent of any ties with the government. In the process her parents failed to allow her or other siblings to attend school or voluntarily visit the hospital for ailments. Tara’s family clung together under a shroud of secrecy, attending church with neighbors but otherwise keeping their distance from anything conceivably connected with the establishment. Her only home was the one she had known forever, her family’s sprawling, isolated acres at the base of Buck’s Peak. Her family built up a cache of weapons, buried jugs of gasoline, and preserved peaches in an effort to defend themselves from the Feds and the Days of Abomination, when the world would disintegrate and only they would have the supplies necessary to survive. In this claustrophobic, fearful atmosphere, Tara could find no nuance. There was only her father’s truth or lies, good or evil. As a youngster, Tara’s at-home education consisted of reading and studying the Bible or making occasional trips to the local library. With the help of a brother who had broken free, the teenager found a way to broaden her psychological landscape radically, teaching herself enough English, math, and science to pass the ACT. After obtaining financial support to attend Brigham Young University, Tara won a Gates Cambridge Scholarship, eventually attending Cambridge University for her PhD in history. Tara Westover has written a complex, weighty work about climbing her way out of a rabbit hole of conflicting truths into a world in which she could draw her own conclusions and write history rather than having it dictated to her. Her story is one of surviving her parents’ gaslighting and neglect by becoming an adult with critical thinking skills who can decide whether she can accept her family’s view of reality above her own. Educated is both harrowing and triumphant, the precisely written product of a subtle and brilliant mind. Strangely enough, it is also a page-turner. Educated is a coming-of-age tale, a story of redemption, and an account of surviving a terribly dysfunctional family. It is also an examination of the ways in which we research and cite history, and our responsibility in doing so. This book is well worth gifting or being gifted. As I turn to my own shopping list, I am once more looking forward to supporting our new literary hub, Old Town Books at 104 S. Union Street. As a former member of the staff at Olsson’s Books & Records, which closed ten years ago, I am pulling for its long-term success and hoping that we will find it a community cornerstone, a lively place to exchange ideas and educate ourselves. « Annmarie Garden in Lights!